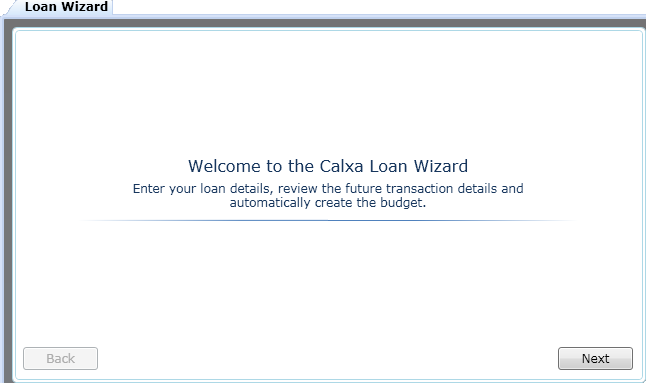 The Calxa Loan Wizard allows you to quickly and easily incorporate loans into your budgets. The wizard will do all of the complex calculations for you and will automatically update your budgets with principal and interest payments for the life of the loan. Ensure you have selected; the relevant business unit, the relevant budget version, if the correct liability account has been selected or select the correct account, and if the correct interest expense account has been selected or select the correct account. When you are satisfied with your settings, click Next. 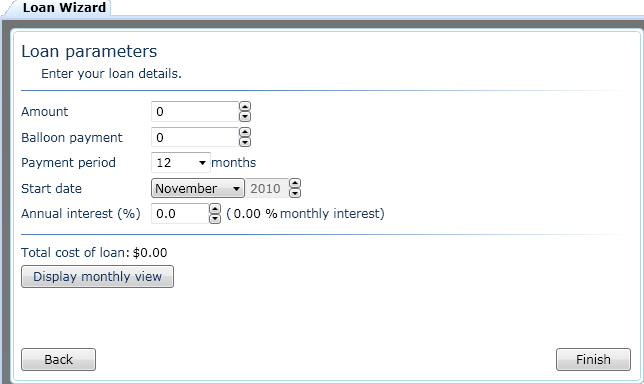 Loan period; you can select between 6, 12, 24, 36, 48 and 60 months or type in the number of months. 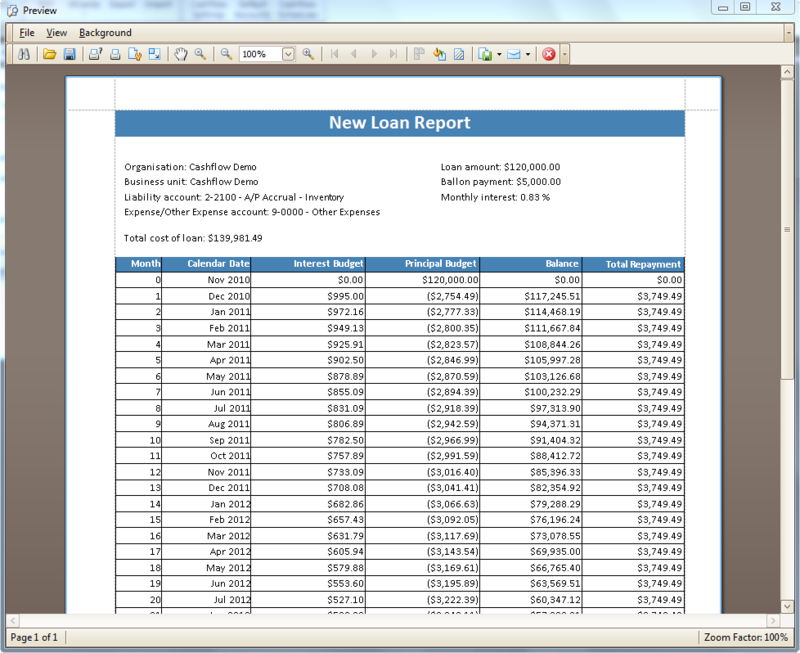 Click Display monthly view to view the loan report. This report sets out loan details and a schedule which shows monthly interest and principal payments, the outstanding balance and the total repayment. Note - You can print or save this report in the same manner as other Calxa reports. 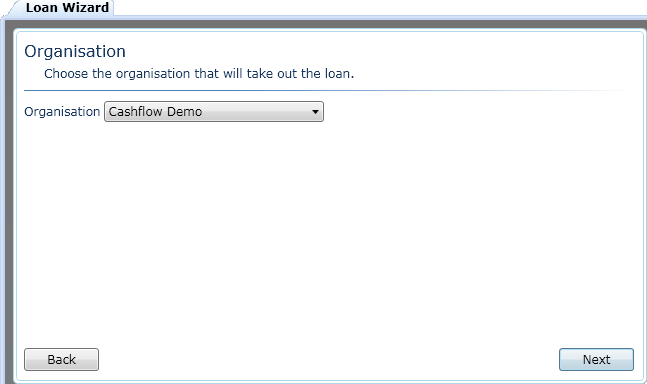 Click the Close icon in the top right hand corner of the screen to return to the Loan Wizard. 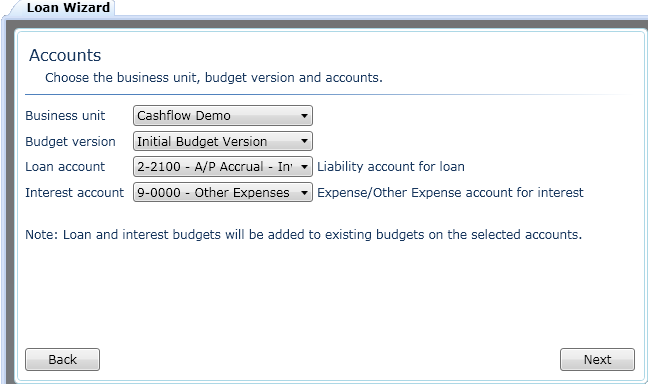 To apply the loan principal and interest payments to your budgets, click Finish.